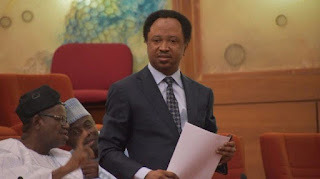 Shehu Sani, the senator representing Kaduna Central has said that herdsmen responsible for massacre in Benue and other parts of the country should be tagged terrorists. The Kaduna lawmaker said this in reaction to the recent killings in the country. He further promised to support the motion to fund the security agencies on the floor of the senate in order to halt killings. Sani on his Twitter page wrote, “Herdsmen who commit massacre in Benue and Taraba and ‘Bandits’ who commit massacre in Zamfara and Birnin Gwari in Kaduna state ,are nothing but terrorists;except if we want to call a spade a pestle or a spoon. Recall that the Bishop of the Diocese of Badagry, Church of Nigeria (Anglican Communion ), Rt. Rev. Babatunde Adeyemi, had criticised President Muhammadu Buhari for not declaring the killer herdsmen as terrorists because they are Fulani. The cleric called on Buhari to declare the killer herdsmen as terrorists, owing to the number of killings they had perpetrated.